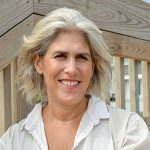 Jane Rennert is the Coordinator of Development & Communications for the Gender & Family Project and has been involved with the GFP community since its inception. Prior to joining the GFP team Jane was a special events planner, editor, full-time parent, and entrepreneur. All of these varied experiences give her a broad worldview and a wide range of skills and insight that inform her role raising awareness for GFP’s mission. Jane is a native New Yorker and a parent of 3 children who are never far from her thoughts.